This year I had a packet of some French beans from the Heritage Seed Library called Starley Red peas. They were described as a type that was being grown for use in Caribbean cooking recipes like Red peas and Rice which traditionally use pigeon peas. Red kidney beans make a good substitute for these which are harder to grow in the British climate. So far so good. Then I lost my HSL catalogue and couldn't find any more information about them at all, not even if they were dwarf or climbing plants. So for the benefit of all I've decided to document them here. As usual with stock gathered from the HSL these beans have little in the way of real provenance and are almost certainly an existing variety adopted by the Starley Housing Co-operative gardeners from one of their members. Sadly the gardener's website seems to have become dormant due to illness. I started a few in a pot at the beginning of June and they were ready to plant out by July. 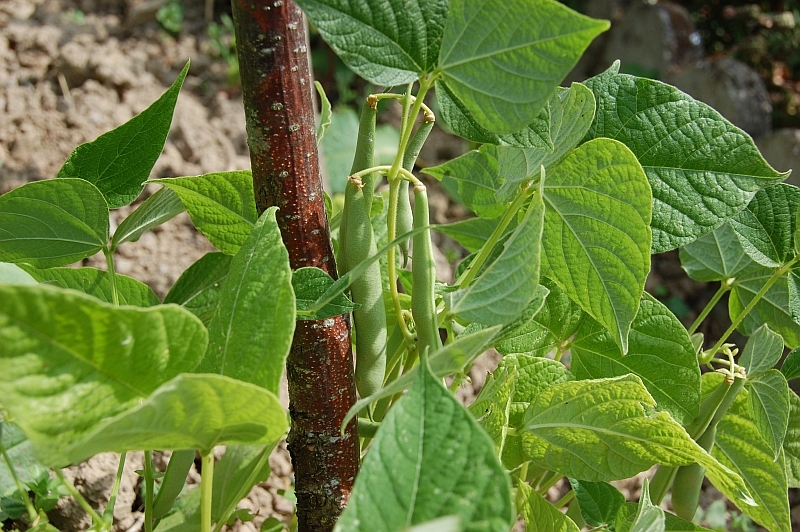 The beans are dwarf growing, really quite short with healthy mid green leaves. 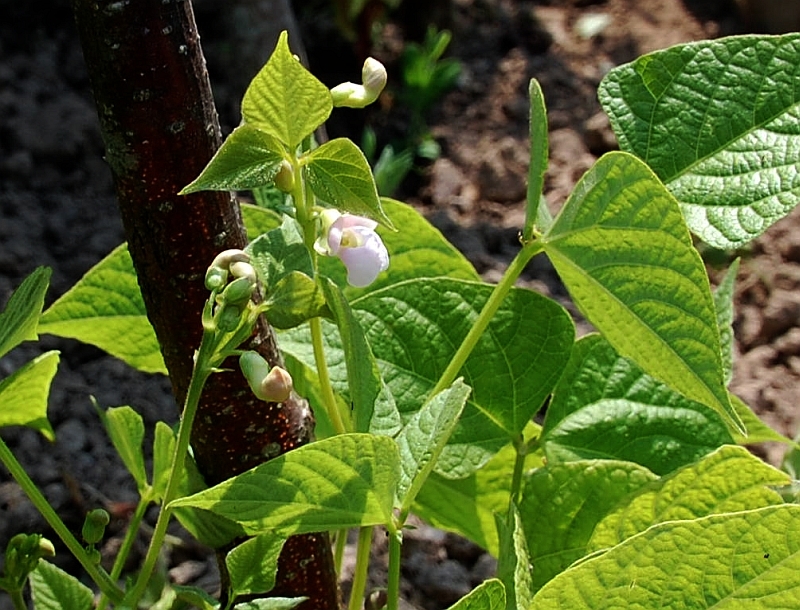 The flowers are not large, white and in every way appear to resemble all other bean flowers. The pods are flat, rough textured and held in short upright racemes. And that, as they say in Wikipedia, is the stub. I'll be back to update as the season progresses and more information is available. Unfortunately I didn't plant enough to get enough beans for cooking this year but if they store well that can be addressed in 2014.